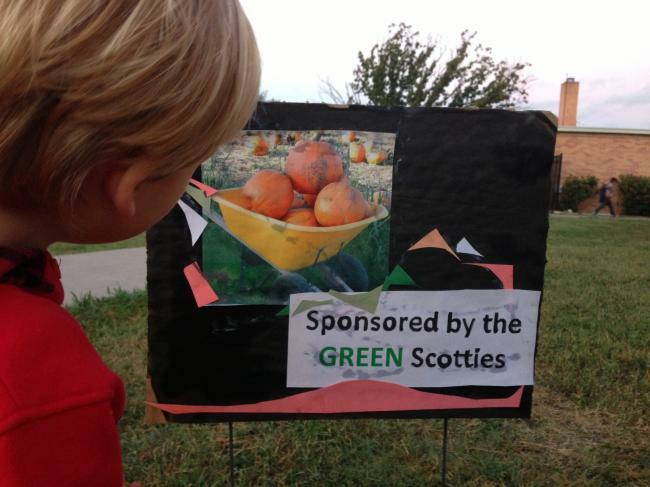 After Halloween, the Green Team sponsored a pumpkin composting. 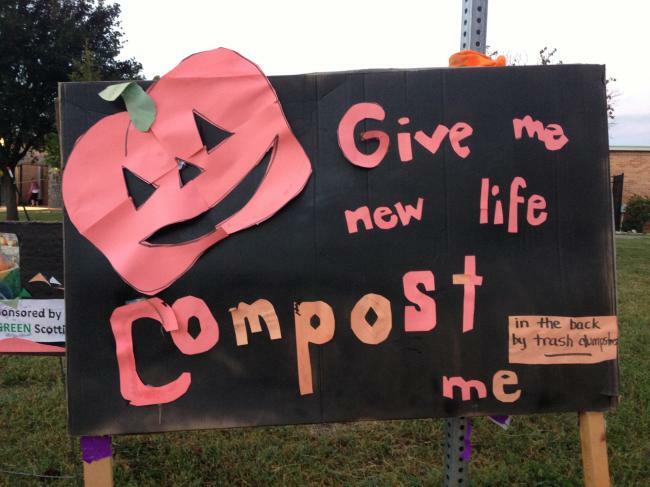 Our school has a large metal composting bin outside (thanks to the City of Austin) and our Principal said we could start an annual Jack-O-Lantern composting event for families at the school. Here are the signs reminding people. 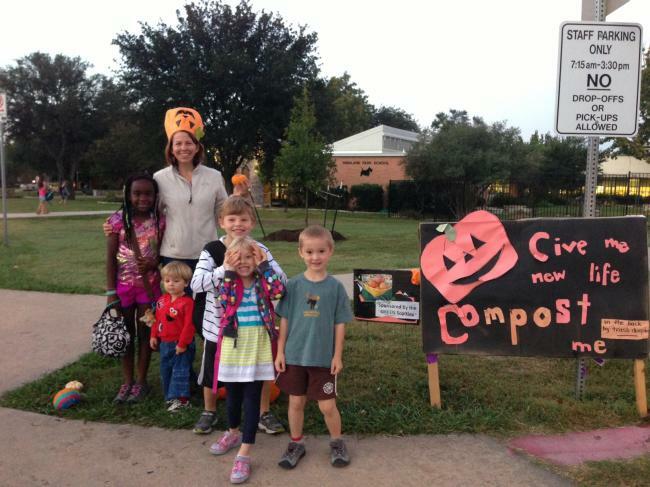 And here is a group of kids helping -- and an enthusiastic parent in a pumpkin hat.